Even with all the reminders to 1) set strong passwords, 2) avoid opening strange files and emails and 3) be careful about the wifi networks you log onto, many users still think being hacked will never happen to them. By keeping bluetooth on when you leave your home or office, your devices can be seen – and accessed – by anyone within one to 100 metres depending on the strength of your bluetooth transmitter. It’s an ideal way to signal hackers to gain access and get on with it. By enabling your smartphone, tablet and laptop to automatically connect as you pass through wifi hotspots you’ll be able to join to all manner of networks, some you’re not even aware of, thereby giving access to anyone who may be looking to gain it. Go to a coffee shop (or airport or hotel) and use the public wifi to do your banking and shop online. Also login to the apps that you use most because intercepting login information is what cybercriminals are getting really good at. Also, if you don’t mind that well-dressed guy sitting in the corner accessing your laptop, then don’t use a VPN to extend a virtual private network across the public wifi network because a VPN will keep your smartphone/tablet and laptop secure. By installing ransomware protection on your devices, strange software won’t be able to install and run. It’ll also detect threats to your systems and vulnerabilities in your apps. So if you’re keen to get hacked, don’t sign up for this kind of high-level protection. Go wild downloading apps that you don’t really need, seldom use or aren’t very well known. Not only will they slow down your devices but possible hidden vulnerabilities will pose a security risk, and cybercriminals could gain access or information through them. Oh, and obviously use the same password for all your apps. By setting your preferences to Public wherever possible, you give cybercriminals information about your family, your history, your interests, your movements, and more. This can give them clues about whether you’re a worthy target. If you receive a phishing email – i.e. 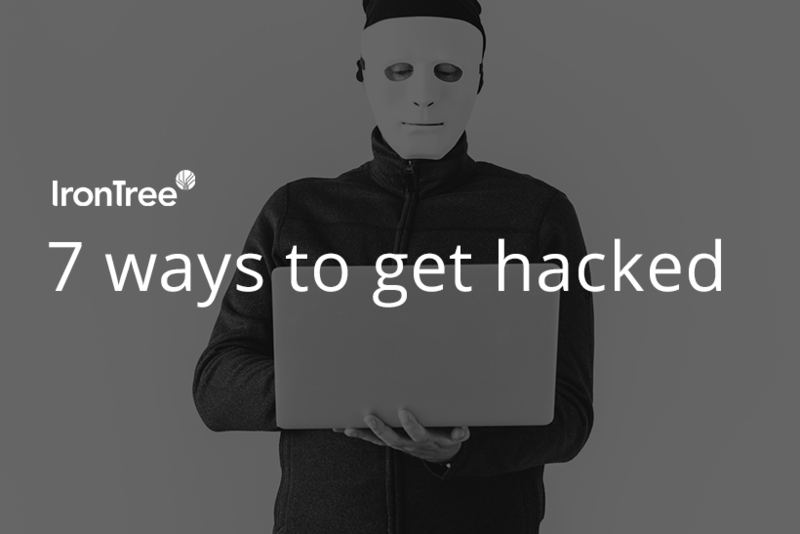 one where the sender poses as a trusted source such as your bank or PayPal and asks you to type in your username and password – provide your details if you’re feeling generous and want to give hackers some of what’s yours. Hopefully you do update your operating software, but if you want to get hacked, don’t set your apps to update automatically because that’ll prevent you from being targeted in the early days of bugs being detected. Being hacked is easy when you’re vulnerable to insecurities that developers haven’t yet picked up. If, after reading this, your curiosity is settled and you decide you don’t really want to be a victim of ransomware and other kinds of cyber attack, then reverse our tips and, BACKUP YOUR DATA.